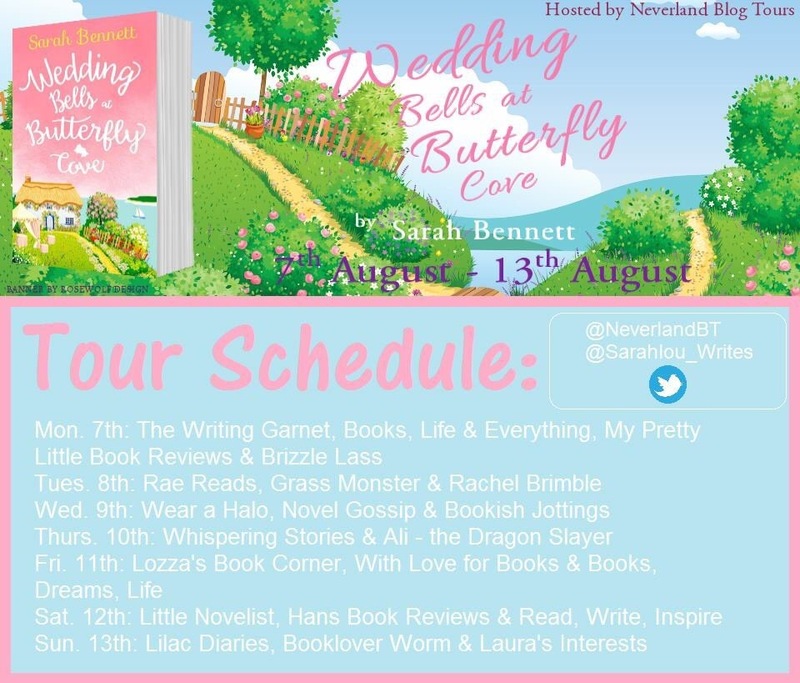 Welcome to my stop on the blog tour for Wedding Bells at Butterfly Cove! I was really craving a lighthearted, fun read when I picked this book up and had a feeling this would hit the spot. I was totally right, it was sweet, charming and so romantic! This is the second book in a series but can easily be read as a standalone. I didn’t have a chance to read the first book and Bennett filled in the blanks for me beautifully. Butterfly Cove is one of those magical, enchanting settings that make you wish you were there with the characters. The characters themselves were all so lovely, some of them are related so there’s a great family bond and some are friends that are as close as family. Kiki is such a dear woman, I really felt for her, she’s had such a rough time in an awful marriage. But despite her struggles she’s an amazing mother and I loved the bond between her and her two adorable children. Aaron was the kindest, gentlest man, I just adored him. While they definitely had an instantaneous chemistry, there was no instant love, which always makes me happy and just makes things so much more realistic. If you’re looking for a happy, feel good read with a gorgeous, quaint setting, this is it! There is another book in this delightful series (a Christmas one!!!) coming out in October so you have plenty of time to catch up. This sounds so cute and fun!! I’ll have to check it out, lighthearted reads are always good when you need to unwind! Great review Amy!